What does every parent want more than anything in the world? The answer is simple & it involves staying snuggled up under the duvet, being brought breakfast in bed & not having the typical rush most mornings bring. A lie in. Even if your body clock doesn’t let you sleep in past 7am (from years of being woken up by chubby little hands & shouting voices), the real treat is to stay in bed; reading, watching TV, doing absolutely nothing. 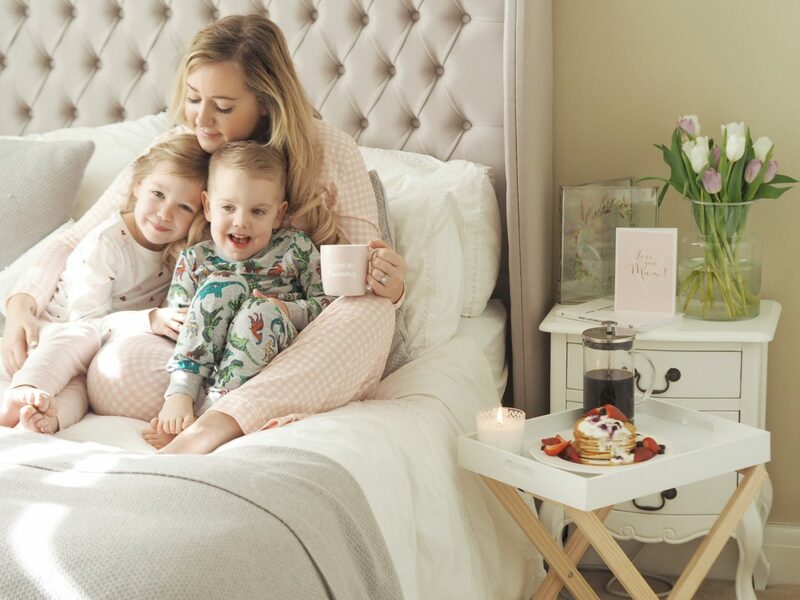 Which is why when Sainsbury’s Home asked me how I’ll be spending Mother’s day next week, I told them about how I always ask for the same thing; to embrace a slow, lazy day filled with homemade cards, breakfast in bed & lots of cuddles. To forget about the need to put on approximately 29458 loads of washing or the fact that school uniform needs to be ironed & meals need to be planned for the week ahead. It’s the one day a year to really celebrate the women who raised us, because after all, nothing is more incredible than a mother; whether you’re one of little ones, big ones or ones no longer with us. We’re all part of the most powerful club of them all. 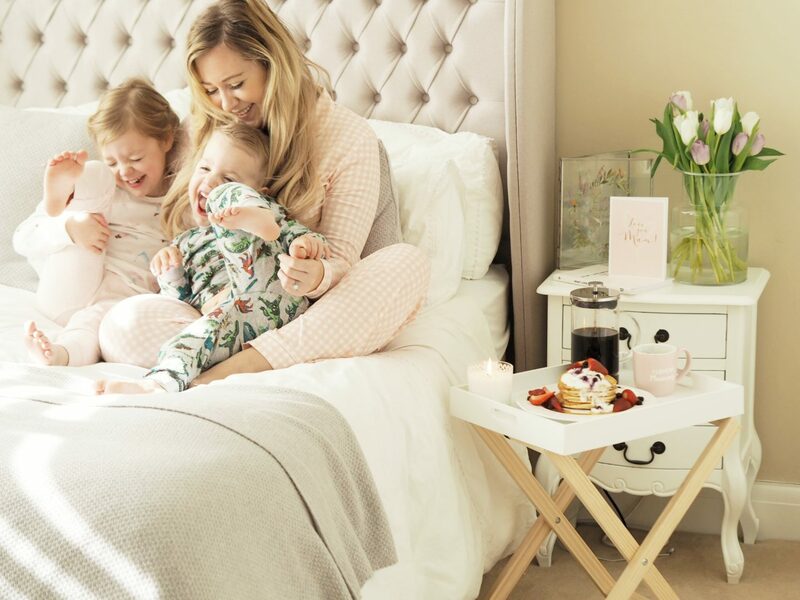 Sainsbury’s Home has got you covered with everything you need for however you’re planning to spend your day as well as their ‘Mummy and Me’ range perfect for little ones to choose from available now online & instore. All the clichés are true. Motherhood is the best (but hardest) job of them all. Our hearts are overflowing with pride & love, but also filled with worry, guilt & self-doubt. As my two get that little bit older, the dynamics have started changing. 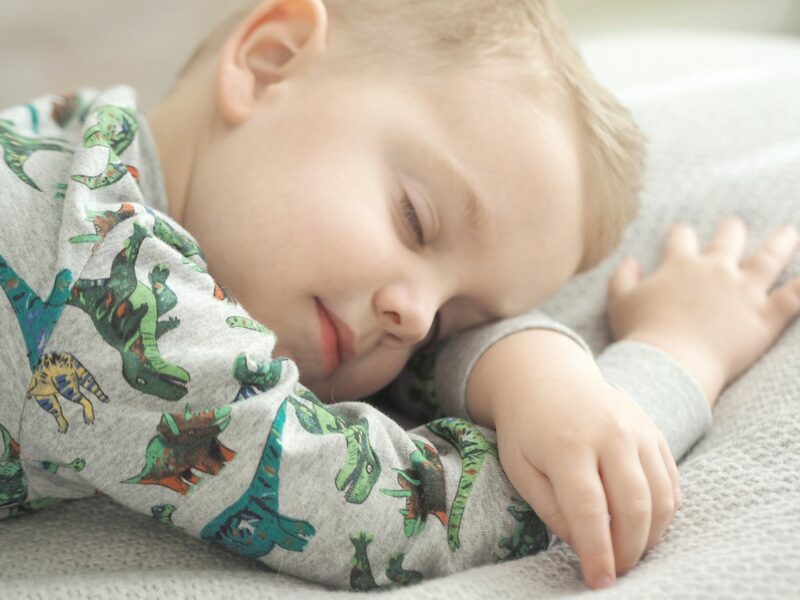 Gone is the physical exhaustion of sleepless nights, feeding & endless nappies. Instead it’s been replaced with answering question after question to fill their incredible little minds, helping them to express themselves & seeing how despite all the times we’ve doubted ourselves as parents, they seem to be turning out okay after all. What also changes once you have your own children is your understanding & respect for your own parents. My mum is the most amazing person I’ve ever met & I am more like her than I wish to admit…she’s strong & determined, the epitome of girl power, but she’s also kind, loving & would do anything for anyone. We see each other pretty much every day & she’s also grown in to the best Nanny I could wish for. 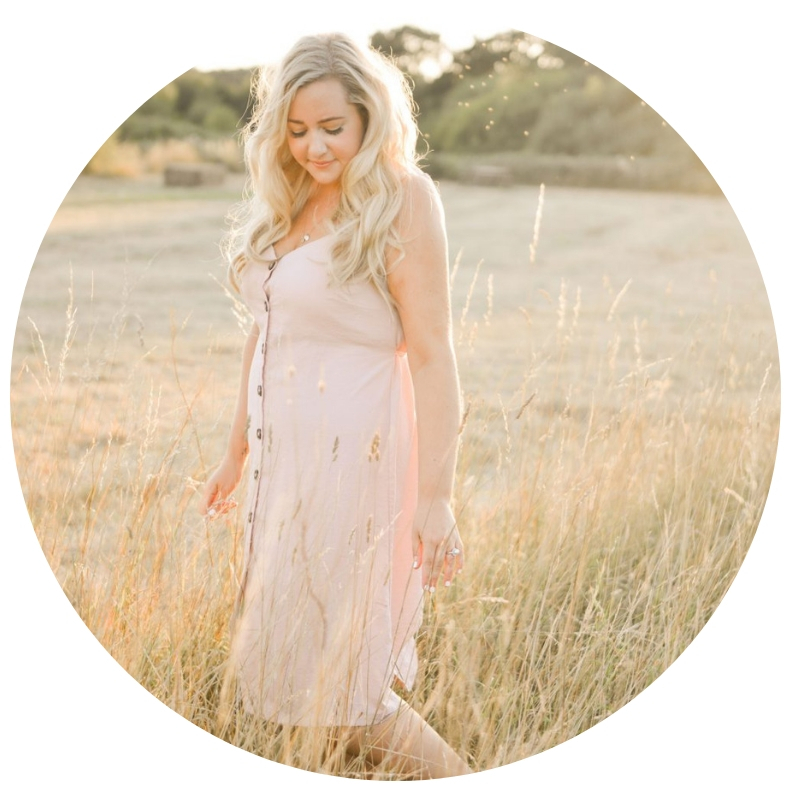 What does being a mother mean to me? 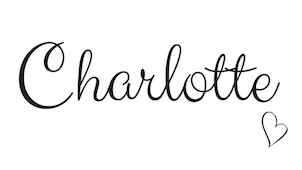 It’s being completely & utterly overwhelmed…the feelings of immense love, responsibility & pure selflessness take over. Becoming a mother has made life more colourful than I ever knew it could be & they basically walk around with my heart and soul in the palms of their chubby little hands. 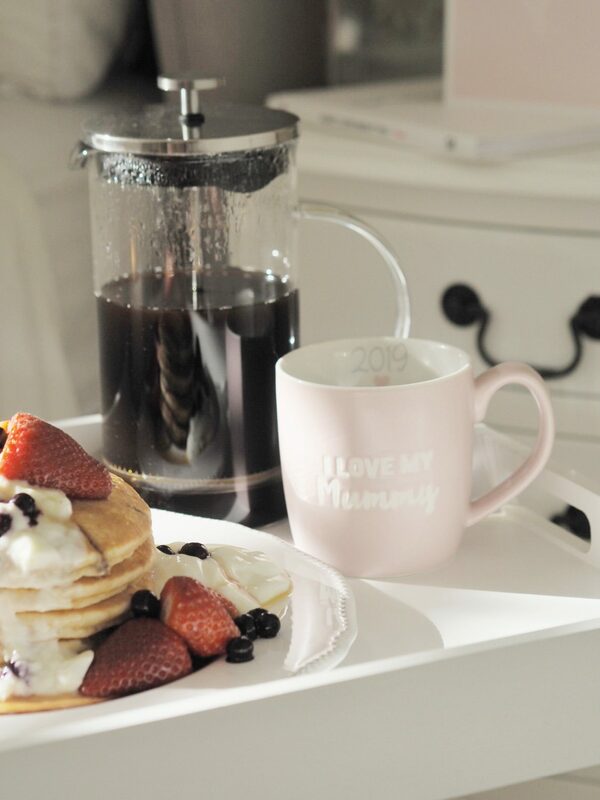 So this Mother’s day, turn off your alarm, give yourself a big pat on the back & take some time for self-care; because mumma, you’re doing an amazing job. Lie in – wake up when your body wants you to, not when you need to. These days don’t come by often when you have school runs to do & packed lunches to make. When you do wake up, don’t get up…stretch out under the duvet & just appreciate the silence. 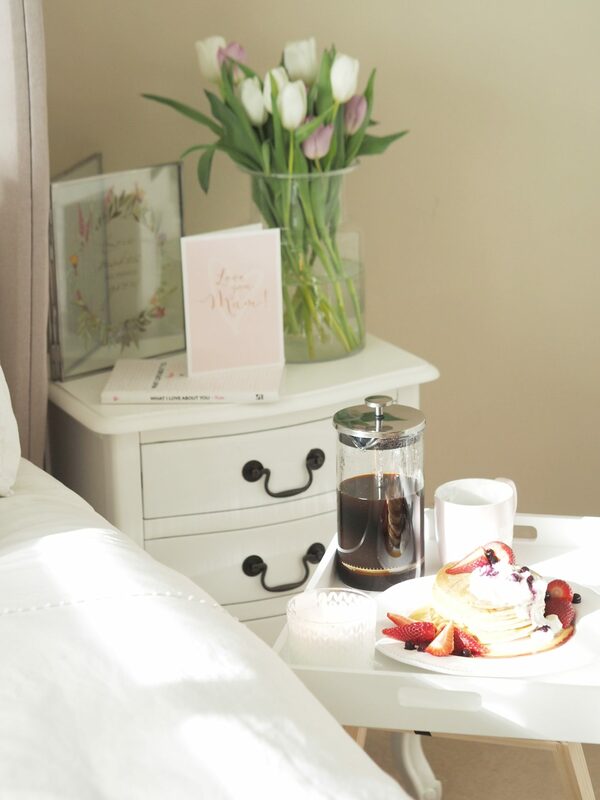 Breakfast in bed – this is pretty much an essential for a slow Sunday, especially on Mother’s Day. 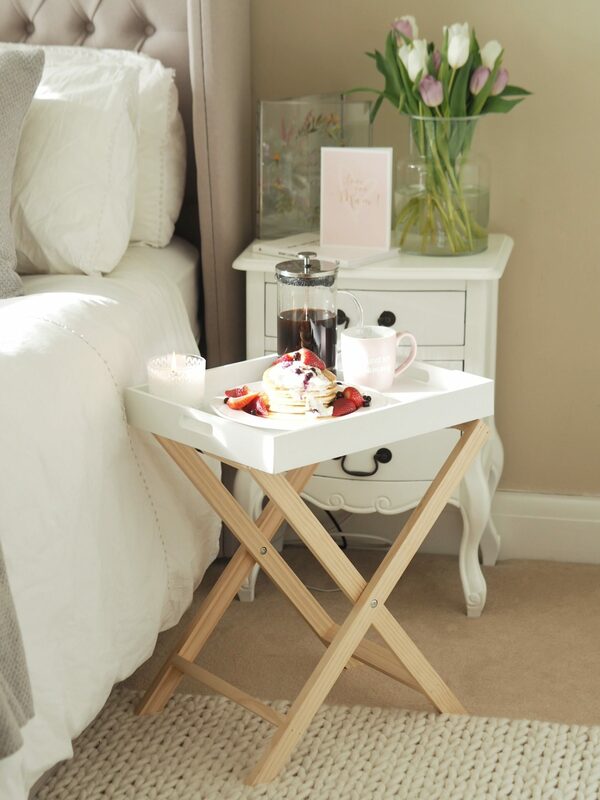 Sainsbury’s Home has everything you need including this gorgeous butler tray table, all the coffee & the yummiest food. Practise self-care – whether that’s reading a book, taking a bath or listening to music. 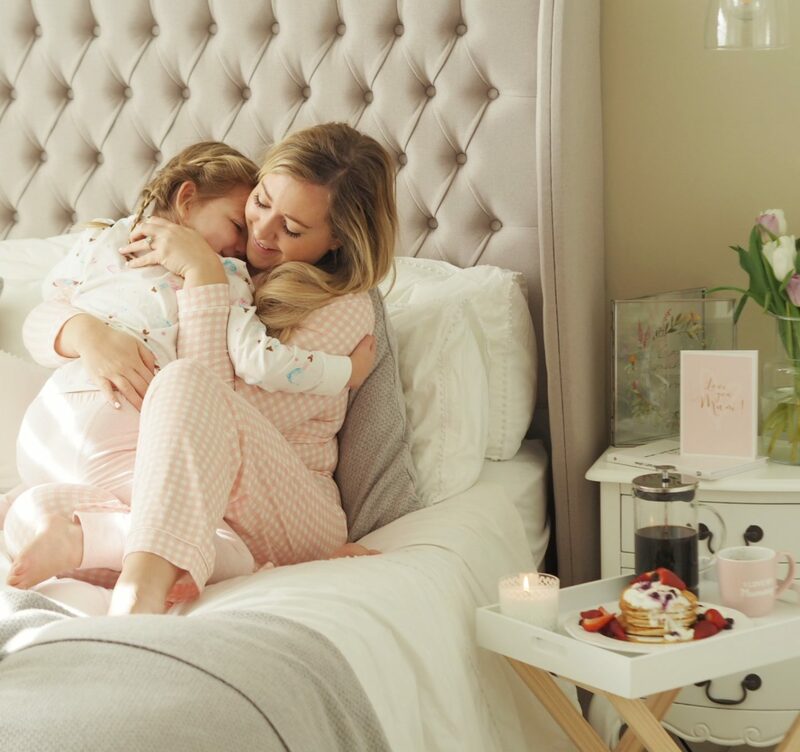 Light a candle – fill the bedroom with a beautiful relaxing scent, this Lavender & Geranium candle from Sainsbury’s Home range is sure to help you unwind. Watch a movie – whether you’re in to trashy series or action movies, you can’t beat it. 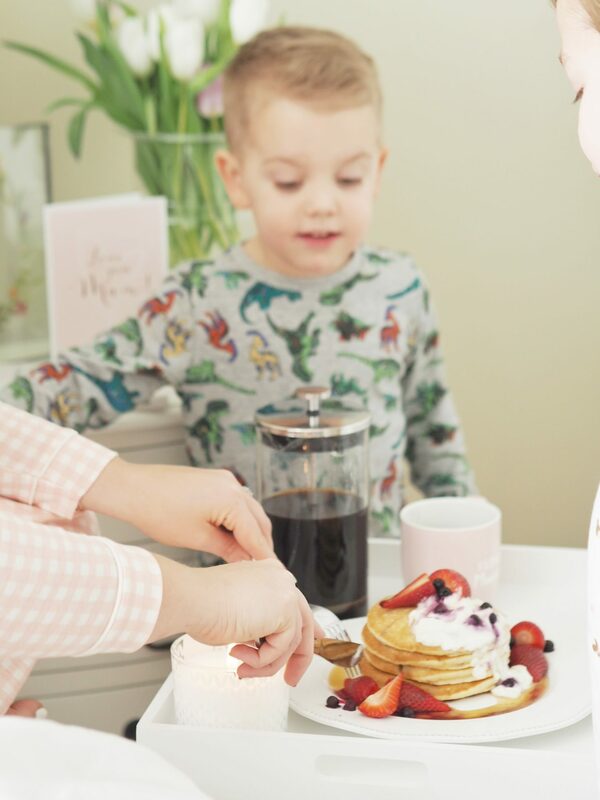 Although let’s be honest, every mum dreams of a lie in…but really we don’t mind sharing our breakfast or hearing the sound of giggles under the duvet, because after all, they are our everything.